DEADLINE FOR DUES IS MARCH 29! March 29 is just one week away, so please be sure to pay your dues by then. The fee for families is $725.00, and the senior dues (if one person in the household is 60 or older) is $475.00. Please go to the web site, www.krarva.org, and click on MEMBERSHIP and then Membership Info to download your DUES STATEMENT. All the directions for paying are on that form, which does need to be mailed to the KRA mailing address: P.O. Box 29656, Henrico, VA. 23242. You may pay your dues online, by electronic check, or by regular check. The link for online payments is on the home page of the web site. Please make sure you have done this by March 29. Spring tennis activities are already going on, and the pools will be open in just over 2 months. 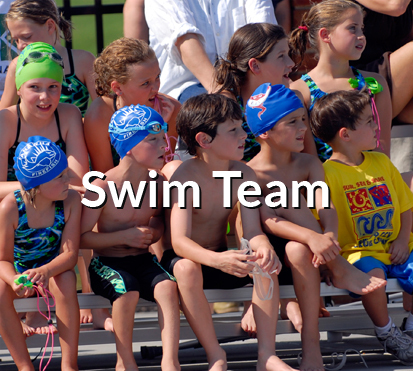 Swim team practice begins on May 20, which is less than 2 months away. For those of you dedicated adult lap swimmers who used the lap pool through the month of September and have been asking if the same arrangement will be available in May, the answer is yes! However, the start date is yet to be determined. The pool has to be drained, cleaned, filled, and balanced first. We are hoping to be ready sometime the week before Mother’s Day, but much of that is dependent on the weather, so you will get more specific information closer to the time. The damaged backboard on the basketball court in the field has been replaced, so now the entire court is playable. Parents, please remind your children to be respectful of Kanawha property. We would like to be able to make improvements and not have to repair things that are intentionally damaged. The large playground apparatus that was damaged (due to normal wear and tear because it was around 30 years old) has been removed. A new apparatus has been ordered and should be installed by March 22, depending on the weather. In the meantime, we still have the swing set, the teeter totter, the small basketball court, and a big open area. The new apparatus will have all sorts of fun things to do for a wide age range. As the weather gets warmer, there are more and more activities happening at Kanawha. Please check the web site (www.krarva.org) frequently for updates. Information is being updated and added several times each week at this time of year. Junior tennis clinics begin the week of March 18, and adult tennis clinics will begin soon. Scott Mitchell, our new director of tennis will begin on March 18, and he will be teaching groups and individuals and adding activities to our tennis calendar. Leslie Upson and Del Moser are also available to teach individuals and groups. Del is returning for his 23rd year, and as soon as the weather is warm enough, he will be ready to start. In addition to tennis clinics, KRA also has several tennis teams for both children and adults. There is information about the teams on the web site. The USTA Men’s 3.0 team, which will play in the spring season (April, May, and June) on Sunday afternoons. Rick Bryner is the captain, and any men who are 3.0 players and are interested in joining that team are asked to contact Rick (rickylb@earthlink.net). In less than 3 months, the pools will be open. As often as weather permits, the staff will be working to keep the facility clean and get the pools ready for the summer . Please help us by throwing away your trash and not leaving your belongings at Kanawha. DUES ARE DUE BY MARCH 29! Most of all, please remember to pay your 2019 dues NO LATER THAN MARCH 29. Please go to the web site (www.krarva.org), click on MEMBERSHIP, and then click on Membership Info. Download the DUES STATEMENT, and all the information you need is on that. You may pay online, by regular check, or by electronic check. Please remember to mail in your Dues Statement to the mailing address: P.O. Box 29656, Henrico, VA. 23242. Sometime between February 10 and February 16, one of the backboards on the basketball court in the field at Kanawha was shattered. A rock about the size of a fist was found near the base of the backboard, and there are some small holes in the backboard itself, which appear to be made by the rock. We do not know if someone threw the rock intentionally or if someone thought it would be okay to try to play basketball with a rock, instead of a basketball. The entire backboard was shattered and is being replaced, which is expensive. Until it is replaced, there is a sign telling people which basket they may use, because this is a safety hazard. We encourage people to use the facilities at Kanawha, and we are glad that there are facilities that can be used when the pools are closed. However, this kind of damage is very concerning. We already have a security system in the pool area, but we are considering getting security cameras for other areas of the property. If anyone has any information about how the backboard was damaged, please contact Martha Hodges. Please remember that KRA dues payments should be made by March 29. The Dues Statement should be downloaded from the Membership Info page on the web site (www.krarva.org). You may enclose a check with your Dues Statement, or you may pay by electronic check or pay online. If you pay online, there will be a service charge. Everyone should return their Dues Statement to Kanawha at P.O. Box 29656, Henrico, VA. 23242. Your 2019 dues payments are due by March 29. This year you may pay online, but there will be a service charge. You may also pay by electronic check or by paper check. Please go to the web site (www.krarva.org), and click on MEMBERSHIP, then click on Membership Info, and then find the link for the DUES STATEMENT. Please download the Dues Statement, fill that in, and mail it to the KRA mailing address (P.O. Box 29656, Henrico, VA 23242). If you pay by paper check, please enclose your check with your statement. If you pay online or by electronic check, just send in the statement, and indicate on there how you are paying. To pay online, go the web site, and click on ONLINE PAYMENTS. You will follow the prompts there to complete your payment. We ask that everyone please return the first page of the Dues Statement. You need to send in the second page only if your family’s listing in the 2018 directory needs corrections, or if you joined too late to be included in the 2018 directory. Spring tennis activities begin the week of March 18, and the pools will be open in 2 months. Please make sure your dues are paid so that you will be ready for all the Kanawha activities. APPLICATIONS FOR 2019 EMPLOYMENT ARE DUE FEBRUARY 1! There may be snow on the ground, but summer will be here before we know it. For anyone who wants to apply for a job at KRA as either a lifeguard, gatekeeper, or groundskeeper, those applications are DUE ON FEBRUARY 1. You may go to the KRA web site, www.krarva.org, and click on ABOUT US, then click on EMPLOYMENT to find the information about these 3 positions and to download the application. There are directions on the application for submitting it. We are looking forward to another fun and safe summer at Kanawha. All KRA members are encouraged to attend the Annual Meeting on Tuesday, October 30, at 7:30, in the Adult Assembly Room at River Road Church, Baptist. The room is just to the right of the entrance from the parking lot. Come hear all about happenings at Kanawha and find out what the plans for the future are. Elections for the Board of Directors will take place. Plan to attend the Annual Meeting of the KRA Membership on Tuesday, October 30, at 7:30PM, in the Adult Assembly Room at River Road Church, Baptist. Come to elect new members of the board of directors, hear about all the activities at Kanawha, get an update on the association finances, and talk about future plans. All Kanawha members are invited and encouraged to attend. Enter the church from the parking lot, and the classroom will be on that level on your right. Get together with your Kanawha friends one more time before winter sets in. Early Sunday morning, 9/23/18, we discovered that the KRA web site (www.krarva.org) was not working. We contacted our web master, and the problem was fixed by early Monday morning, 9/24. We apologize for the inconvenience. Hopefully this will not happen again, at least not anytime soon, but if you have difficulties with the web site, please contact Martha Hodges (martha.b.hodges@gmail.com) as soon as possible so that the problem can be investigated. Thank you. Toddlers and Tennis is a great clinic to get your child introduced to the sport of tennis. Our pros will teach your child the basic, age-appropriate skills of tennis. We also have activities planned to help build hand-eye coordination, balance, and focus! The clinic is for children ages 5 and under. Our beginner red ball clinic is played on a 36′ Court “short court” with foam/red balls. This is an introduction to tennis for 4-7 year olds. The clinic will focus on hand-eye coordination, agility, gross motor skills, and developing all the tennis strokes. This is a great way to learn the game of tennis while having fun! Our advanced red ball clinic is played on 36’ court with foam/red balls, and is designed for kids age 5-7. Our advanced clinic is for kids who already have the basic understanding of all tennis strokes, and rules. Pros will begin to help players understand how to be consistent, play points, and eventually play full matches. Our orange ball clinic is the 2nd step in the junior tennis progression, and is for kid’s age 8-10. We use a 60′ Court with Orange Balls (slightly less inflated than yellow ball). Players will work to improve their skills and mechanics through variations of both drills, points, and games. Our pros will focus on building consistency and accuracy while also teaching your kids how to “construct” points during match play. Our regular ball clinic is for all players who have progressed to the yellow ball, and can consistently play on a full court. Our pros have put together lesson plans that will focus on stroke consistency, point play, and movement. Players will be split up based on skill levels. The plan for lap swimming during the month of September in our new lap pool has been approved! We will begin on Tuesday, September 4, and that pool will close on Sunday, September 30. This swim-at-your-own-risk opportunity is for ADULTS ONLY (age 21 and over), because there will not be a lifeguard on duty. 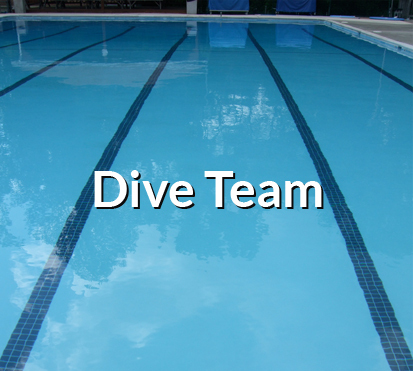 The pool will be set up for lap swimming only—this is not for recreational swimming. All swimmers must enter through the gate near the swim shed and basketball court in the field. It is suggested that you park at the bottom of the parking lot and walk across the field, though there may be times when you will be able to use the gravel road and park at the end of the field near the gate you will use. If none of these times are convenient for you, please contact Martha Hodges.